A Stainless steal mesh ball infuser with chain is simple to use. Just open the ball, add your tea leaves and hang it in your mug. A trio of artisan chocolate made with love and dedication to perfect your tea ritual! Tea & Chocolate – the perfect pair! 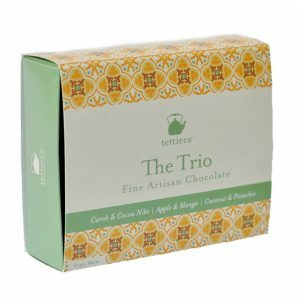 Enjoy this artisan trio chocolate collection that has been specifically created to compliment your cup of tea. The collection comes with a tea pairing guide card that recommends the tea blends that go down perfectly with this unique artisan chocolate. Hand-made in Malta by the Maltese Chocolatier at Oil & More, an artisan foods company. Enjoy your cup of tea paired with this unique artisan mouth-watering chocolate collection. 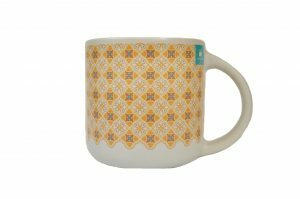 Enjoy your cup of tea in a Tettiera pattern mug designed by Stephanie Borg. 350ml Ceramic Mug packed in a gift box. Dishwasher proof and microwave safe. To preserve colours, hand wash is recommended. 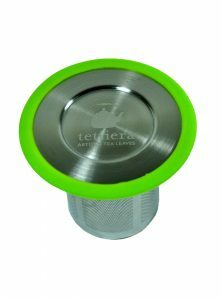 The perfect basket infuser to maximise the flavours of your tea leaves in the easiest of ways. 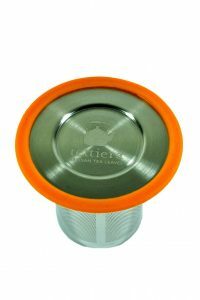 This stainless steel basket infuser comes with it’s own lid. 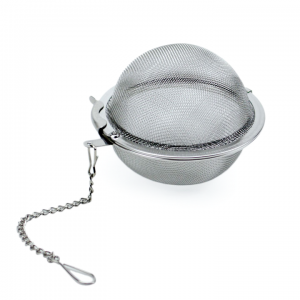 The basket is the perfect way to infuse your tea leaves as it gives them the proper space to brew efficiently. 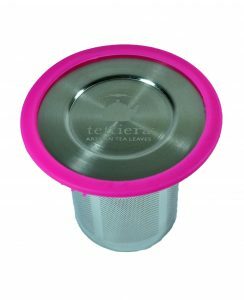 The lid also acts as a coaster for the basket infuser to drip onto or as a lid to keep your cuppa warm. The top of the basket and it’s lid are covered with silicone for ease of use and safety. Preparing your cup of tea has never been easier! Ceramic Mug can be bought separately. Saturday 16th of March 2019 – 17:00hrs to 19:00hrs at Bohini, Triq Kurat Chetcuti, Mgarr, Malta. Discover the world of artisan loose-leaf teas with special focus on Maltese tea blends paired up with mouthwatering Maltese delicacies prepared with love and attention by Bohini. Discover the aromatic flavour of our signature tea blend Tghanniqa – blended with Maltese carob & Ceylon black tea. Finish off the tasting experience with the delicate Maltese borage tisane -Il-Bewsa tal-Fidloqqom. Tea Talk – a welcome note on the world of loose-leaf teas with special focus on Maltese tea blends, their harvest and blending process. Tea Tasting – 4 different tea blends with flowing still water. Food & Sweets – Handcrafted pastizzi pizelli (pea cheese cakes) and ricotta qassatat (ricotta pastries) , local water biscuit with home-made bigilla (Maltese bean paste) , mini hobza biz zejt (traditional Maltese bread with tomatoes, olive oil and herbal mixture). Jelly, pudina Maltija (Maltese pudding) u pasta roza Maltija ( similar to Lamington cake). Handcrafted mqaret, (Maltese pasties with dates) qaghaq ta l-ghasel (Maltese honey and treackle rings) u cikkulata tal harrub ( Carob Chocolate). 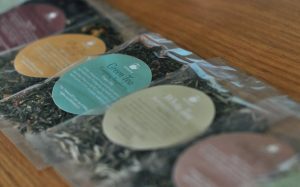 A Tettiera Eco Tea Sack and tea tasting note cards will be given to all participants. Limited seats available. Please present the receipt of purchase by the door. Tickets also available from Bohini in Triq Kurat Chetcuti, Mgarr, Malta. Tickets are non refundable but may be transferable. So many blends to explore! These 25g samplers have been created specifically for you to try the diverse portfolio of teas to find the right mix for you! 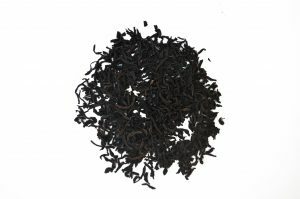 Contains 6 or 12 or 24 packs of tea blends by 25g depending on your selection packed in a Tettiera mint cardboard box. For Ingredients, please refer to the single blend products on this website.